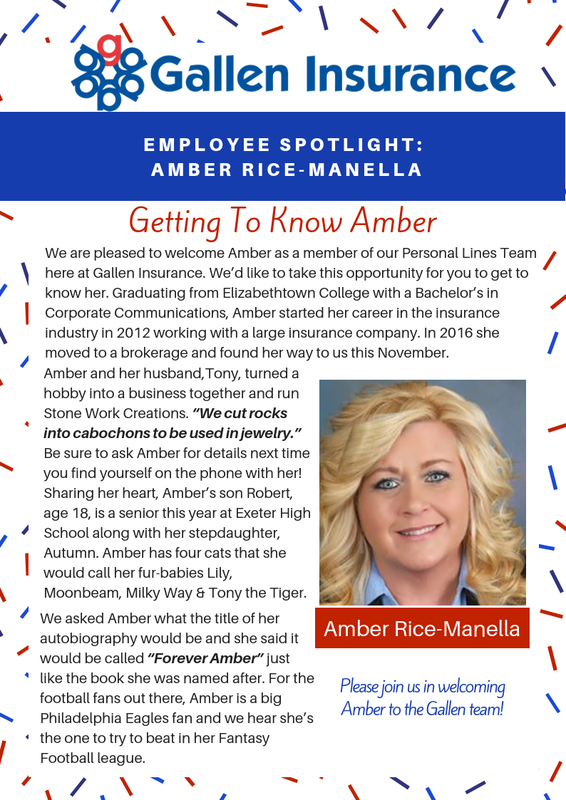 We are pleased to welcome Amber as a member of our Personal Lines Team here at Gallen Insurance. We’d like to take this opportunity for you to get to know her. Read about Amber in this photo & be sure to say hello next time you call or stop in!